NEW YORK – Oil prices surged by nearly $11 (U.S.) to new record highs above $138 a barrel today after a Morgan Stanley analyst predicted prices could hit $150 within a month. A falling U.S. dollar and growing tensions in the Middle East also pushed prices higher. Light sweet crude for July delivery traded as high as US$139.01 a barrel, before closing at US$138.54, up $10.75, on the New York Mercantile Exchange. This easily topped the previous intraday record of $135.09 a barrel on May 22. Today's surge built on a $5.49 gain Thursday, which had been the biggest single-day price increase in the history of the Nymex crude contract. 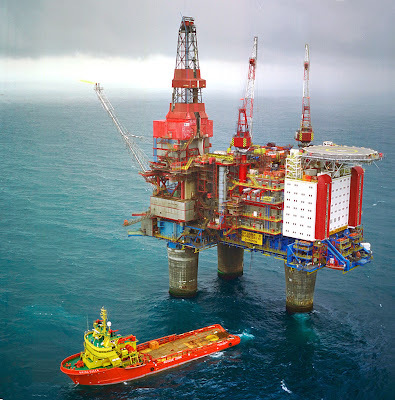 It came as Ole Slorer of Morgan Stanley released a report predicting a "short-term spike in oil prices" – perhaps to US$150 a barrel by the Fourth of July holiday. The dramatic reversal in what had been a weakening market followed a suggestion by European Central Bank president Jean-Claude Trichet that the ECB could raise interest rates. His comment prompted a rise in the euro against the American dollar, the currency in which the oil trade is denominated. Analysts believe the dollar's protracted decline has been a major reason that oil prices have about doubled in the past year. "Oil fundamentals had recently started to reassert themselves with worries about demand destruction, but Mr. Trichet chased them away and re-invited financials to the party," Olivier Jakob of Petromatrix in Switzerland said in a research note. "Oil, which was very weak, rallied on those comments," added Phil Flynn, an analyst at Alaron Trading in Chicago. The ECB, Flynn said , is "out of step with the U.S., which is weakening the dollar." Earlier this week, Federal Reserve chairman Ben Bernanke indicated that more interest rate cuts are unlikely in the United States. Bernanke's comment briefly boosted the dollar and prodded oil prices lower. 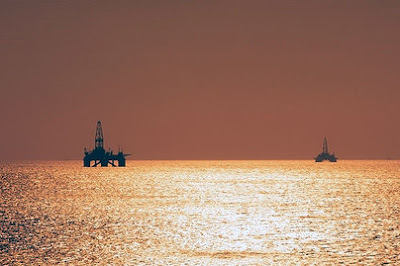 Oil's decline from the previous peak of $135.09 on May 22 had come largely on concerns about slackening demand, and this underlying fundamental is unchanged, Jakob wrote, pointing to indications of falling global demand. Recent data show high prices have led Americans to cut their gasoline consumption. Meanwhile, Asian governments are reducing fuel subsidies. In the United States, which consumes nearly a quarter of the world's oil, gasoline demand was down 1.4 per cent last month from a year earlier. American automakers are cutting production of gas-guzzling SUVs and trucks, and airlines are cutting capacity due to high fuel prices and the altered habits of consumers. The oil price reached a new record of more than $138 a barrel after a report suggested it could reach $150 by July amid rising geopolitical tensions. Crude oil in New York gained more than $10 to hit $138.54 a barrel. The rise came as US shares fell sharply in response to unemployment figures reaching 5.9%, a four-year high. Increased demand by China and India is also pushing up oil prices along with the weaker dollar, which has made commodities an attractive investment. Crude oil hit a record high of $135 a barrel last month. The BBC's North America Editor, Justin Webb, says the gloomy figures are a reminder to all Americans that the nation faces serious economic problems and perhaps even a recession. Oil prices were given a boost on a report by Morgan Stanley analyst Ole Slorer, who suggested the price of oil could rocket to $150 as early as July. Some analysts have suggested that prices would reach as high as $200 a barrel during the next 18 months. The price of the benchmark light, sweet crude oil has already seen rapid gains over the past months and has gained more than 40% over the year. It is more than twice the price it was a year ago. The market was also responding to a statement by Israel's transport minister that an attack on Iran was "unavoidable" after sanctions to prevent Tehran from developing its nuclear capability had failed. Investors hedging oil against the weak dollar has also pushed up the price of oil. Fears that workers at Chevron Corporation in Nigeria may go on strike and subsequently disrupt production and access to oil are also adding to market jitters. Oil prices had recorded losses earlier this weak after doubts about future demand took hold of the market. Both the Indian and Malaysian governments have raised fuel prices in order to cut the subsidies they provide. The International Energy Agency (IEA), an adviser to 27 industrialised countries, had said it could lower its 2008 demand growth projection further, after having already more than halved it to 1.03 million barrels per day. But several analysts have proven bullish about future prospects. 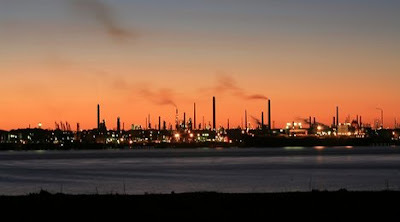 Harry Tchilinguirian, oil analyst at BNP Paribas in London, said demand would be sustained by expanding Asian nations. "World oil demand growth is still accounted mostly by China, the Middle East and Latin America - and through the summer, there is no reason to expect a material slowdown in demand growth in these areas," he said. NEW YORK (Reuters) - Oil rose on Friday on the weak U.S. dollar and ongoing long-term supply concerns that briefly pushed oil to a peak over $135 this week. U.S. light crude traded up $1.11 to $131.92 a barrel by 2:05 p.m. EDT (1805 GMT), after hitting a record $135.09 during intraday trade on Thursday. London Brent gained 88 cents to trade at $131.39. Oil prices have climbed by around a third since the start of the year as investors seeking a hedge against inflation and the falling U.S. dollar pile into commodities. The dollar looked set on Friday for its steepest weekly fall against a basket of major currencies in two months on concerns about the U.S. economy's vulnerability to slower growth and rising inflation. 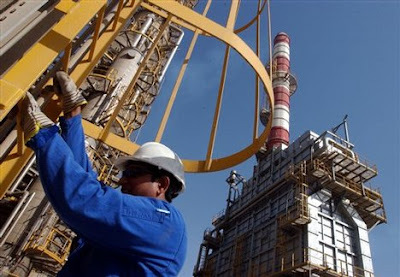 Further support has come from worries supply will struggle to keep up with demand over the next few years amid forecasts for tepid growth outside of the Organization of the Petroleum Exporting Countries (OPEC). "The severity of non-OPEC supply weakness stands out as a primary factor behind the strong run-up in prices through the year so far," Barclays Capital said in a research note. Non-OPEC production has stagnated and will remain below 50 million barrels per day this year, a Reuters survey of 12 analysts showed on Thursday. Analysts say expectations that resource nationalism by oil producing countries emboldened by high prices will continue to limit international oil companies access to reserves, are also damping long-term supply growth forecasts and lifting long-dated crude futures. High oil prices have hurt demand growth in top consumer the United States, and could curb usage in Asia as well. "In many ways you are starting to see a demand response," said Lawrence Eagles of the International Energy Agency. U.S. data released on Friday showed that highway miles driven in March fell 4.3 percent from a year earlier, the first March since the last major oil shock in 1979. Road travel in the United States during the Memorial Day holiday this weekend is expected to be 1 percent lower than last year, the first decline since 2002. 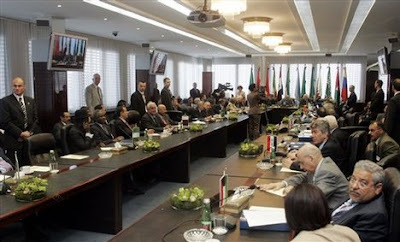 Oil consumers have called upon OPEC to increase output to help alleviate the pain of rising fuel costs. But OPEC Secretary-General Abdullah al-Badri on Thursday repeated the group's stance that it can do nothing to lower oil prices in a "crazy" market, blaming record prices on factors geopolitical tensions, speculation and the weak dollar. Copyright 2008 Reuters Limited. All rights reserved. Republication or redistribution of Reuters content, including by framing or similar means, is expressly prohibited without the prior written consent of Reuters. Reuters shall not be liable for any errors or delays in the content, or for any actions taken in reliance thereon. All active hyperlinks have been inserted by AOL. Crude oil continued to push to new highs in early trading Thursday, topping $135 a barrel as OPEC ministers said they could do nothing to stop a rally that could put the price on a track toward $200, Bloomberg reported. Oil jumped more than $4 Wednesday to close at a record $133.17 a barrel, just a day after crossing the $129 mark for the first time. The price reached as high as $135.09 in after-hours electronic trading before the market opened Thursday, Bloomberg said. Some analysts said the price could skyrocket to $200 a barrel, Bloomberg reported. The Wall Street Journal reported Thursday in a front-page story that an International Energy Agency official warned of a coming oil-production crunch, as the group prepares to release a comprehensive supply survey in November. Oil prices have soared almost 20% this month alone and more than 40% this year, Bloomberg said. U.S. oil inventories plunged 5.3 million barrels last week, the Energy Department said Wednesday. That was in contrast to a 300,000-barrel increase that was forecast by analysts, Bloomberg reported. Gasoline inventories fell 760,000 barrels, while distillates, which include diesel, gained 730,000 barrels, DOE said in its weekly report. Gasoline and heating oil futures, a close proxy for diesel, both reached record highs on the Nymex on Wednesday, Bloomberg reported. Ford Motor Co. plans to reduce shifts at one truck plant and idle another as the automaker cuts back production amid rising fuel prices and falling demand, Bloomberg News reported. As a result, the company said last week it expects to break even in 2009 instead of turning a profit as earlier promised. Ford will run its Kentucky Truck Plant in Louisville for only one shift during most of June, spokeswoman Angie Kozleski said, according to Bloomberg. The factory makes Super Duty versions of F-Series pickup trucks. The Michigan Truck Plant in Wayne, Mich., starting June 23 will close for three weeks in addition to the regular two-week annual shutdown in July, Kozleski said. The factory makes large sport-utility vehicles including the Expedition. Ford is trying to match truck production to reduced demand as average U.S. gasoline prices approach $4 a gallon, Bloomberg said. 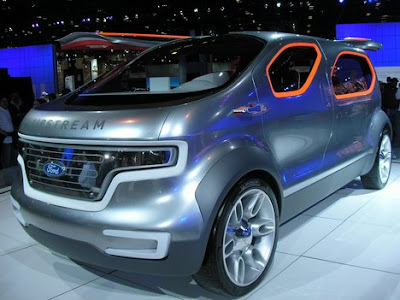 Ford will pare North American production 15% from a year earlier this quarter, from a previous 12% cut. Ford will reduce output in the region as much as 20% in the third quarter and up to 8% in the fourth quarter, Bloomberg said. Ford Motor Co.'s plan to reduce output at its Kentucky Truck Plant through June is forcing cutbacks at a Navistar International Corp. plant in Indianapolis that makes diesel engines for Ford. Ford’s plant, outside Louisville, builds the F-250 – 550 Super Duty truck series. The Navistar plant will be idled from May 23 through June 30, Roy Wiley, a spokesman for the Warrenville, Ill.- based company, said. He declined to say how many workers will be affected, Bloomberg said. Ford will run only one shift at the Kentucky plant for most of June, said a company spokeswoman. Only the engine part of Navistar’s plant will shut down. The facility also produces component parts. “Hopefully, we’ll be able to come back after the third week of July but it depends upon Ford,” Wiley said. Airlines around the world braced for slower growth, tighter earnings and deeper cost cutting yesterday as oil prices surged and the biggest carrier by revenue, Air France KLM, warned on profits. Oil's spike to a record above $135 a barrel battered some airline shares, although stock in top U.S. carriers saw a slight rebound as NYMEX crude retreated from session highs. Shares in AMR Corp., parent of American Airlines, recovered losses suffered a day earlier when the company announced its sharpest cutbacks since the hijack attacks of Sept. 11, 2001, including thousands of layoffs. 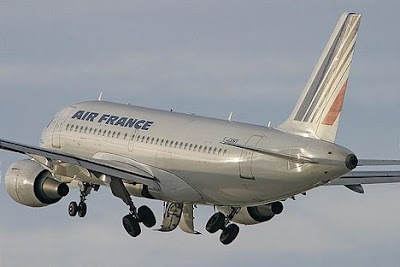 Shares of Air France KLM, however, fell more than 10 per cent after CEO Jean-Cyril Spinetta warned the airline would have to expect a 1.1-billion euro ($1.73-billion) rise in fuel costs, squeezing profits this year and forcing it to find 150 million euros in savings. It now expects an operating profit "in the region of one billion euros," Spinetta said, which would mean a fall of 30 per cent from the year that ended in March. "The current year is set to be challenging, with the oil price and the global economy creating significant uncertainty," Spinetta said. Oil prices have surged since the start of 2007 and eight small airlines have entered bankruptcy or stopped operating in the past five months, including U.S.-based transatlantic all-business carrier Eos and budget airline Aloha Airlines. American Airlines said Tuesday it plans to chop its U.S. capacity by up to 12 per cent in the fourth quarter, underscoring the impact on industry heavyweights and sending shares in parent AMR plunging 24 per cent. The airline also said it would begin charging passengers $15 to check a single bag. Calyon Securities analyst Ray Neidl said in a research note, "We believe that there is little upside potential and still some downside risk for airline stocks until either oil prices begin to subside or the industry implements a major restructuring." Australia's Qantas Airways put up international fares by four per cent and domestic ones by about three per cent in its second such move in a month. JAL, Asia's biggest carrier by sales, said it, too, needed to act to deal with the cost of oil. "We try to absorb it ourselves but it's beyond our ability to absorb all of it and we need to transfer (some) to our customers," CEO Haruka Nishimatsu told Reuters in Singapore. The cost of jet fuel traded in Singapore has risen by more than half this year and analysts expect more cost cutting, particularly among U.S. carriers, as an economic slowdown puts off travelers. "It is going to actually send some (smaller) airlines into bankruptcy," said Nick van den Brul, analyst at Exane BNP. "The best position for an airline is to have a good hedge already in place ... a euro exposure to the dollar and also the ability to cut costs." Even for carriers with fuel hedges providing a buffer, there are other challenges as economic uncertainty in the United States and elsewhere threatens growth plans. Some carriers are also the subject of sweeping EU and U.S. investigations into allegations of price-fixing in air cargo, which pose cost risks, as seen in Air France KLM taking a 530-million euro pretax provision yesterday. There is pain, too, as delays in new more fuel-efficient planes put expansion plans and urgently needed cost savings on hold. Airbus announced a fresh delay in A380 superjumbo deliveries this month and Boeing's 787 Dreamliner is now running 15 months late. JAL boss Nishimatsu complained that the 787's delay was hurting the airline's plans to grow bigger. Tough times could also bring consolidation, analysts say. Lufthansa chief executive Wolfgang Mayrhuber said Wednesday he was willing to consider taking a stake in smaller neighbour Austrian Airlines. WASHINGTON/NEW YORK (Reuters) - Oil's relentless price rise has pushed U.S. drivers off the road, curbed consumers' appetite for expensive goods, forced airlines into their deepest cuts in years and threatened car makers with a flood of red ink. It all points to a dramatic shift in the U.S. economy as oil's surge above $130 per barrel forces already cash-strapped households and companies to rethink business as usual, and the changes are likely to be lasting, even if energy prices retreat. "The weakness in the United States economy in housing, that we have read about for over a year, with the mortgage crisis and credit crunch, was one blow. But oil is another blow, and it's probably one blow too many," Dow Chemical (DOW.N: Quote, Profile , Research) Chief Executive Andrew Liveris told Reuters. The consumer response has been modest so far, but the pattern is clear. The number of miles traveled on U.S. roads fell 4.3 percent in March from a year earlier, the U.S. Department of Transportation said on Friday, the sharpest yearly drop on record and the first decline in the month of March since 1979, when the last major oil shock hit drivers. Sales of gasoline-guzzling sport-utility vehicles have plummeted. The prices for used SUVs dropped by 17.5 percent year-over-year in April, according to Manheim Consulting, which tracks used vehicle sales. 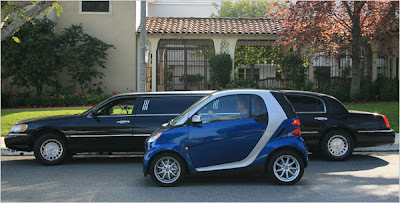 Compact cars were up 2 percent. Businesses are reacting even more dramatically. "Going green" with energy efficiency programs, once a popular image-burnishing exercise, have now become a matter of survival for oil-intensive companies. Gerard Arpey, CEO of American Airlines parent AMR Corp (AMR.N: Quote, Profile , Research), said earlier this week the industry "will not and cannot continue in its current state" as he unveiled plans to cut thousands of jobs, retire old aircraft and charge passengers to check bags. Automaker Ford Motor Co (F.N: Quote, Profile , Research) announced production cuts on Thursday and said it no longer expected to return to profitability next year. "We saw a real change in the industry demand for pickup trucks and SUVs in the first two weeks of May," Ford Chief Executive Alan Mulally said on Thursday. "It seemed to us that we reached a tipping point where customers began shifting away from these vehicles at an accelerated rate." Gasoline prices hit a record national average of $3.79 a gallon in the run-up to the Memorial Day holiday weekend, traditionally the start of the summer driving season. This year, 12 percent of drivers say they have canceled travel plans and another 11 percent have cut the distance of their trips because of expensive fuel, according to a survey by Deloitte & Touche. James Hamilton, an economics professor at University of California, San Diego, who studies oil price shocks, said consumers had shrugged off steep rises in gasoline prices for most of this decade because even at higher prices, it still represented a modest portion of household budgets. Now, with wages stagnating and fuel prices rising more rapidly, consumers can no longer absorb the pressures. That is reflected in slumping consumer confidence and a steep drop in spending on non-essentials. "We're back at a level of (fuel) expenditures that's similar to what we had in the late 1970s," Hamilton said. "It's a big enough part of people's budgets that it's definitely getting their attention." Hamilton sees the beginnings of permanent changes in consumer behavior. Even if gasoline prices moderate from current levels, consumers are shunning SUVs, he said. Trips to suburban strip malls are becoming less popular as Americans balk at driving an extra 10 or 15 miles just to save a dollar or two at a national chain store. The economic implications are huge. Consumer spending accounts for some two-thirds of U.S. economic activity, and there is no denying the slowdown. The Commerce Department's retail sales data shows demand down sharply for autos and furniture, as well as at department stores. The retail category showing the sharpest gain is gasoline stations, evidence of the higher prices. When consumers curb spending, companies retrench, manufacturing falters, and employment dips. That is precisely what is happening now, and it points to a dangerous slowdown in the U.S. economy already grappling with the worst housing slide since the Great Depression. "When gas prices hit $4 a gallon, you're going to see America come to a screeching halt because for two weeks, consumers aren't going to shop for anything except groceries," said Britt Beemer, head of America's Research Group, which surveys consumers on spending behavior. "Consumers are trying to figure out how they're going to manage the family budget when it costs $70, $80, $90 to fill up the tank of gas," he said. Beemer's polls have found that a growing number of consumers are writing shopping lists before heading to the stores so that they won't be tempted to pick up impulse buys. The number of consumers putting off a purchase of $500 or more has been growing since October. When he asks why they are not spending, the most common answers are high gas prices, or lack of money. Back in October, consumers were more likely to say that they couldn't find what they were looking for in the stores. "Now, they're not even going to the stores. They're making the decision not to shop before they even leave their homes," Beemer said. LONDON — Oil prices surged more than $3 to a record above $132 a barrel yesterday after U.S. data revealed a sharp drop in fuel inventories. U.S. crude was trading $2.82 a barrel higher at $131.80 by 1504GMT, just off a new high of $132.08. London Brent gained $3.56 to $131.40. Weekly data from the U.S. government showed stocks of crude had fallen by 5.4 million barrels. Gasoline inventories slipped by 800,000 barrels and distillate stocks, which include heating oil and diesel, rose by 700,000 barrels, less than analyst expectations for a 1.3 million barrel increase. “The market is in a very bullish mood and these statistics will do nothing to change that,” said Tom Bentz, analyst at BNP Paribas Commodity Futures Inc. The fall in weekly inventories is matched by concerns supply problems will continue for years, which have driven records on oil to be delivered far into the future as well as in the near term. Oil for delivery in 2016 rose above $142 a barrel yesterday. Investors have also been drawn into the market by a weak U.S. currency, which has made dollar-denominated commodities relatively cheap for holders of other currencies. The dollar slid to a one-month low against the euro yesterday, which was pushed upwards by expectations of higher euro zone interest rates. Speaking to Reuters during a visit to Venezuela, Opec Secretary-General Abdullah Al Badri said the soft dollar was one of the factors that could keep pushing oil higher. Tanker tracker Petrologistics said yesterday Opec’s oil output in May had risen by 700,000 barrels per day (bpd) compared with April. The market has viewed the extra crude as insignificant compared with chronic underinvestment and refinery shortfalls. BANGKOK, Thailand: Oil prices hit a new record above US$135 a barrel and fell back slightly in Asia late Thursday, with supply worries, rising global demand and a slumping dollar keeping crude futures on an upward track. With gas and oil prices setting new records nearly every day, many analysts are beginning to wonder what might stop prices from rising. There are technical signals in the futures market, including price differences between near-term and longer-term contracts, that crude may soon fall. But with demand for oil growing in the developing world, and little end in sight to supply problems in producing countries such as Nigeria, few analysts are willing to call an end to crude's rally. "The sentiment in the market is very bullish at the moment," said David Moore, commodity strategist with the Commonwealth Bank of Australia in Sydney. "The U.S. dollar was weaker last night, and also the U.S. EIA report showed an unexpected decline in U.S. commercial crude oil inventories, so there's a combination of factors pushing the oil prices higher." Crude prices blew past US$130 on Wednesday amid concerns about demand, supplies and a weaker dollar, and then they just kept going. The rise accelerated when the U.S. Energy Department's Energy Information Administration said U.S. crude inventories fell by more than 5 million barrels last week. Analysts had expected a modest increase. Late afternoon in Singapore, light, sweet crude for July delivery was up US$1.71 at US$134.88 a barrel in electronic trade on the New York Mercantile Exchange. The contract had earlier hit a trading record of US$135.09 a barrel after rising US$4.19 in the floor session Wednesday to settle at US$133.17. The settlement price marked crude's largest one-day price advance since March 26. Some analysts say crude has been boosted in recent days by especially strong demand for diesel in China, where power plants in some areas are running desperately short of coal and certain earthquake-hit regions are relying on diesel generators for power. Also, the Wall Street Journal reported Thursday that the Paris-based International Energy Agency is in the middle of its first attempt to comprehensively assess the condition of the world's top 400 oil fields. For several years, the IEA has predicted that supplies of crude and other liquid fuels will arc gently upward to keep pace with rising demand, topping 116 million barrels a day by 2030, up from around 87 million barrels a day currently. Now, the agency is worried that aging oil fields and diminished investment mean that companies could struggle to surpass 100 million barrels a day in production over the next two decades, the paper reported. That view has been echoed by many analysts watching the seeming unending string of oil price records. "The market is really structurally tight ... oil demand is not growing that fast but supply is constrained," said Victor Shum, an energy analyst with Purvin & Gertz in Singapore. In its week report, the U.S. Energy Information Administration said gasoline inventories also fell, which took the market by surprise as well. Inventories of distillates, which include heating oil and diesel fuel, rose less than analysts surveyed by Platts had expected. In Asia, the dollar has gained slightly from overnight levels, but is still showing a downward bias that wasn't there last week. Investors see hard commodities such as oil as a hedge against inflation and a weak dollar and pour into the crude futures market when the greenback falls. A weak dollar also makes oil less expensive to buyers dealing in other currencies. Many investors believe the dollar's protracted decline over the past year has been the most significant factor behind oil's rise from about US$66 a barrel a year ago. And while Moore said his bank's "expectation is that oil prices will ultimately fall back from current levels over the course of this year ... the likelihood is that we'll have oil prices remaining at what would be considered a high level by the standards of a couple of years ago for some time yet." In other Nymex trading, heating oil futures rose 8.2 cents to US$3.9904 a gallon (3.8 liters) while gasoline prices added 3.92 cents to US$3.4357 a gallon. 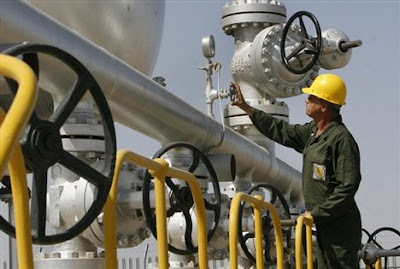 Natural gas futures rose 9.3 cents to US$11.733 per 1,000 cubic feet. July Brent crude rose US$2.25 to US$134.95 a barrel on the ICE Futures exchange in London. Oil prices surged more than $3 to a record above $132 a barrel on Wednesday after a US government report showed a surprise drop in crude stockpiles, reinvigorating fears of a worsening supply crunch. The gains bring oil up more than 30% so far this year in a rally that has raised alarm bells in consumer countries like the United States, already hard hit by a housing slump and credit crisis. "The market is in a very bullish mood and these statistics will do nothing to change that," said Tom Bentz, analyst at BNP Paribas Commodity Futures Inc. US crude gained $3.30 to $132.28 a barrel by 1625 GMT after hitting a fresh peak of $132.69. 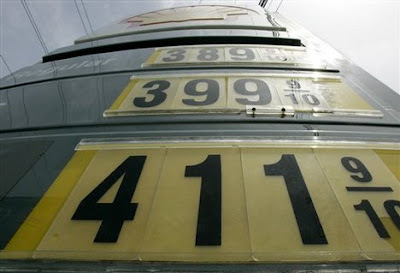 London Brent rose $4.09 to $131.93. The surge came after the US Energy Information Administration showed crude stockpiles in the world's biggest energy consumer fell 5.4 million barrels last week, countering expectations for a build. "This report gives the market every reason to rally," said Rob Kurzatkowski, analyst at optionsXpress in Chicago. The fall in weekly inventories is matched by concerns supply problems will continue for years as production continues to fall short of growth in demand. Oil for delivery in 2016 rose above $142 a barrel on Wednesday - making it the highest contract on the futures curve. US Energy Secretary Sam Bodman said Wednesday that there was nothing the government could do to ease the pain of soaring fuel prices for consumers and added that a rise in speculative investment in commodities was not behind the rally. "We have flat (oil) production ... and increasing demand," Bodman told reporters. "I don't think anything can be done near-term," he said. Investors have also been drawn into the market by a weak US currency, which has made dollar-denominated commodities relatively cheap for holders of other currencies. The dollar slid to a one-month low against the euro on Wednesday on expectations of higher euro zone interest rates. The Organization of the Petroleum Exporting Countries (OPEC) has kept official policy unchanged, but its biggest producer, Saudi Arabia, has raised production and other members have overcome problems that had reduced supplies. Tanker tracker Petrologistics said on Wednesday OPEC's oil output in May had risen by 700,000 barrels per day (bpd) compared with April. NEW YORK (Reuters) - Oil prices surged $5 to a record over $134 a barrel on Wednesday after a U.S. government report showed a surprise drop in crude stockpiles, reinvigorating fears of a supply crunch. The gains bring oil up more than 34 percent so far this year in a rally that has raised alarm bells in consumer countries like the United States, already hard-hit by a housing slump and credit crisis. Weakness in the U.S. dollar encouraged Wednesday's buying spree by bolstering the purchasing power of buyers holding other currencies, dealers said. U.S. crude settled up $4.19 at $133.17 a barrel before extending its gains to $134.10 by 2100 GMT. London Brent rose $4.86 to end at $132.70. The U.S. Energy Information Administration reported that crude stockpiles in the world's biggest energy consumer fell 5.4 million barrels last week, countering expectations for a build. The fall in weekly inventories intensified concerns that supply problems will persist for years as production falls short of growth in demand. Oil for delivery in December 2016 rose above $142 a barrel on Wednesday -- making it the loftiest contract on the futures curve. Investment bank Goldman Sachs has said it thinks oil prices will average $141 a barrel in the second half of this year and could top $200 a barrel by 2010. U.S. Energy Secretary Sam Bodman said the government could do nothing to ease the pain of soaring fuel prices for consumers heading into the summer vacation season, when road travel typically peaks. "We have flat (oil) production ... and increasing demand," Bodman said. "I don't think anything can be done near term." Crude prices have risen sixfold since 2002 -- hurting consumers and businesses and contributing to a rapid increase in food prices -- as rising demand from China and other developing countries outpaces new supply. Intensifying the crunch, tight power supplies in parts of Asia, Latin America and the Middle East have triggered a boom in demand for diesel for use in generators, propelling the related U.S. heating oil and London gasoil futures contracts to new and lofty peaks. Investors also have been drawn into the market by a weak U.S. dollar, which has made commodities relatively cheap for holders of other currencies. 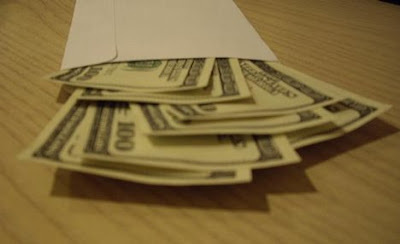 The greenback slid to a one-month low against the euro on Wednesday on expectations of higher euro zone interest rates. U.S. investor Warren Buffett, the world's richest person, said on Wednesday he expects the U.S. dollar to keep falling as policies needed to correct the slide had yet to be implemented. The Organization of the Petroleum Exporting Countries (OPEC) has blamed oil's rally on speculation and the weak U.S. dollar and has repeatedly rebuffed calls from consumer nations for more supply. OPEC's biggest producer, Saudi Arabia, said last week it has raised production by 300,000 barrels per day, but only to offset production problems from other members of the cartel.